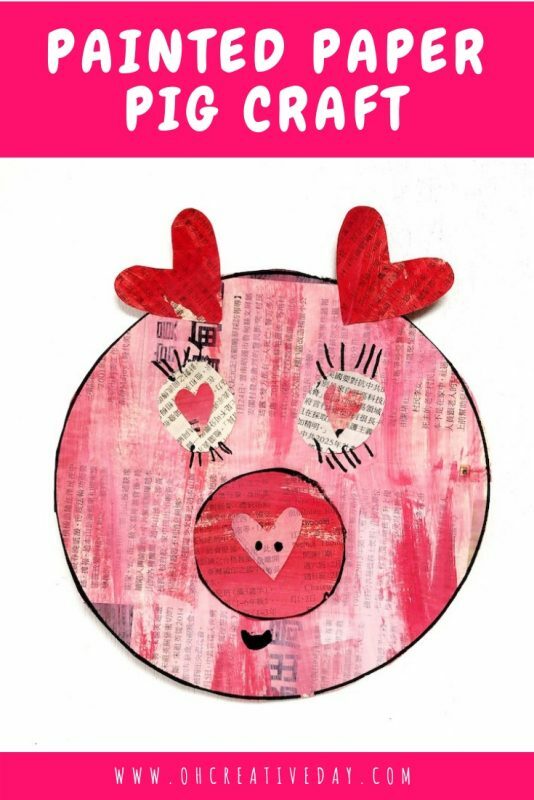 I’ve been dreaming about this pig craft since last Lunar New Year. 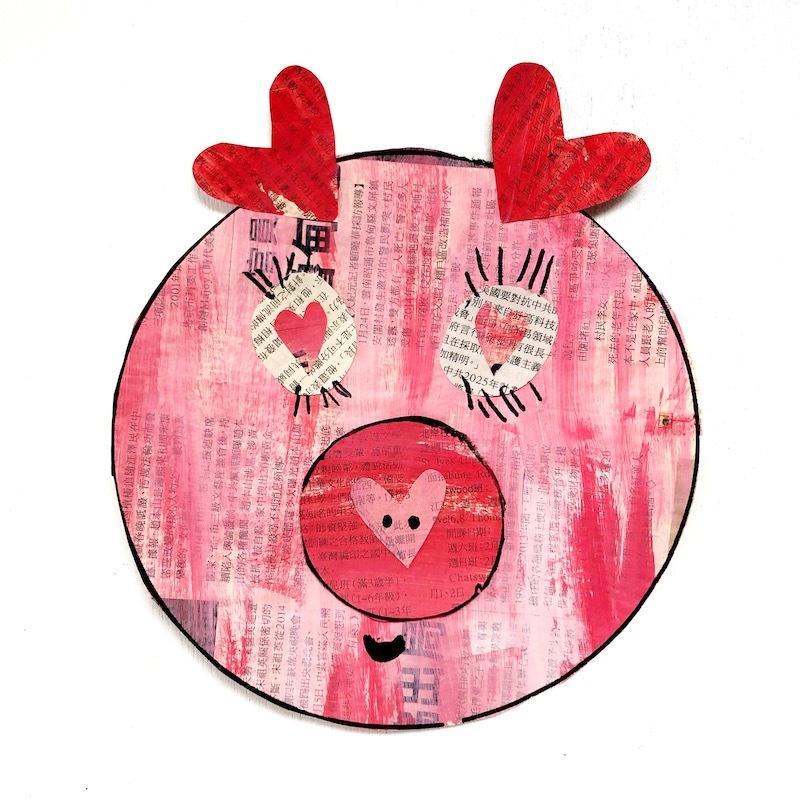 This painted paper project is a perfect way to bring in the Year of the Pig. And add some heart-shaped ears, eyes and snout and you’ve got a Valentine’s pig. Gotta love a 2 for 1 craft deal. 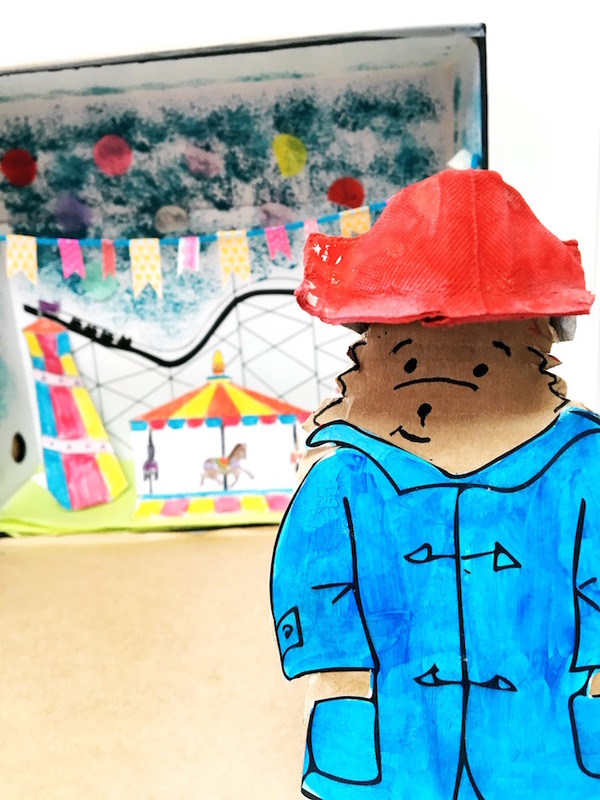 You can never underestimate the power of simple processes and techniques to get little makers excited. 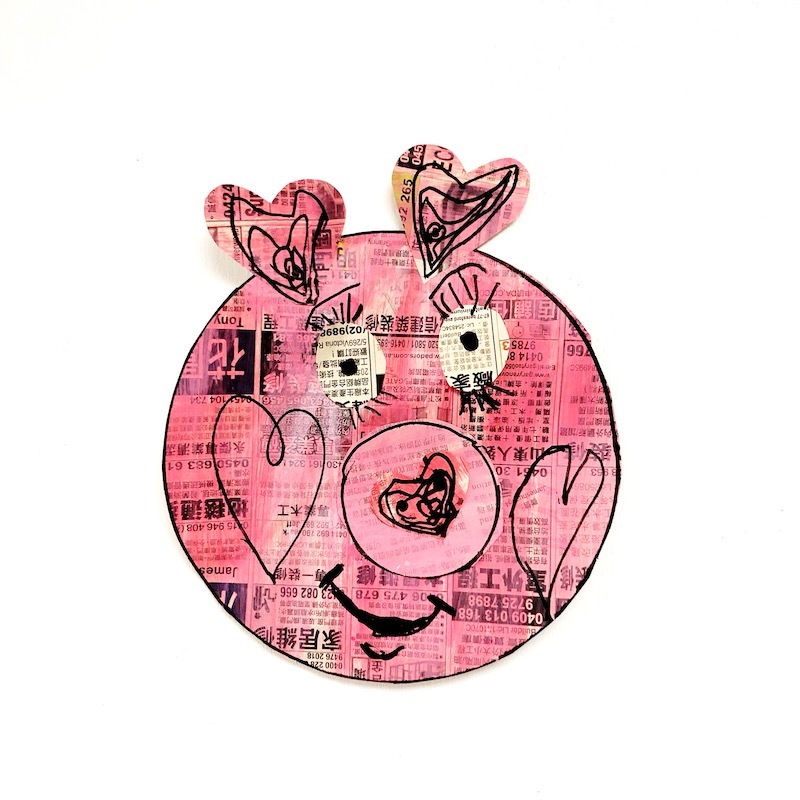 This pig craft asks your mini maker to paint, trace, cut and glue. Lay sheets of newspaper across the table. In a paint palette, I prepared different amounts of red paint to white paint. We began by exploring how to make different tints of pink. 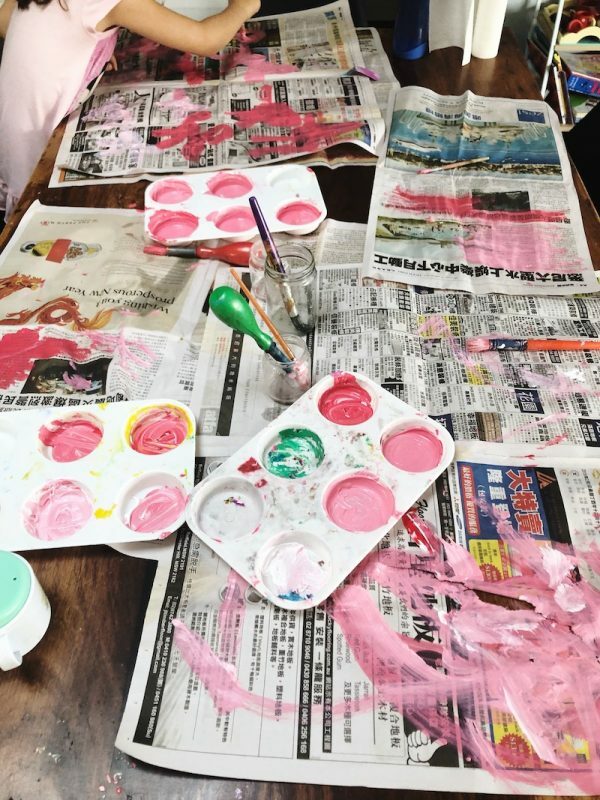 And then we covered our newspaper sheets in our tints of pink. 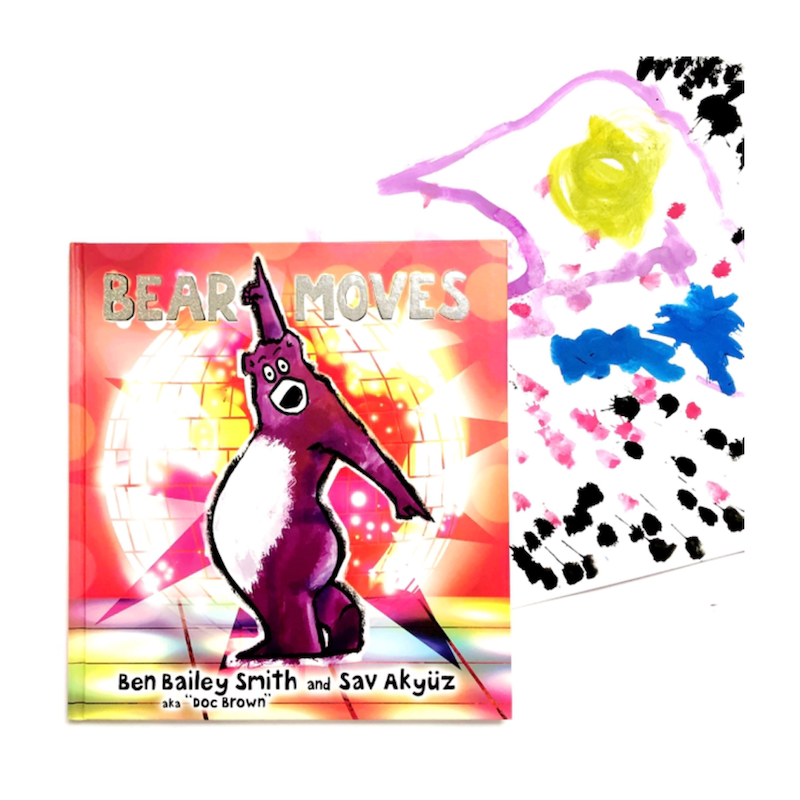 If the idea of getting your paint on with your kids makes you feel a bit ill, never fear! 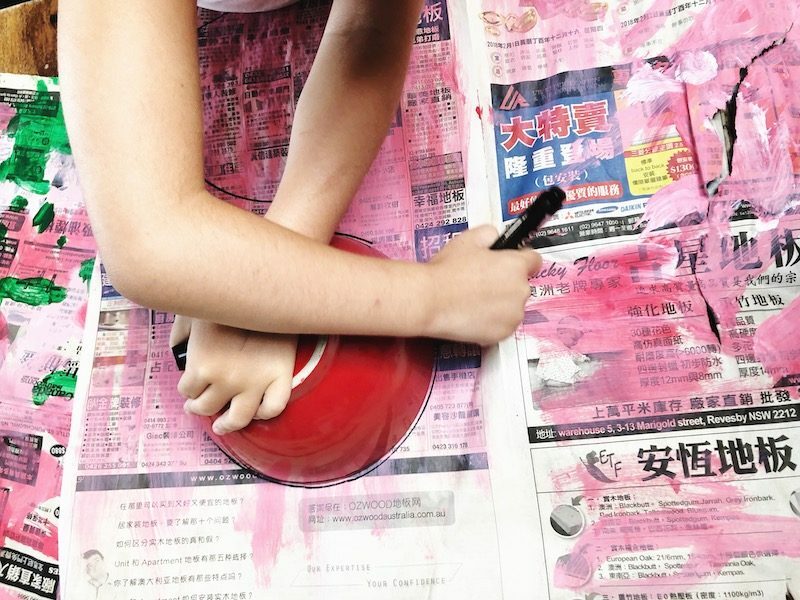 You can totally adapt this project by using store-bought pink paper. Stay within your comfort zone! Once the newspaper had dried, we traced around a larger bowl to create the pig’s head. We traced around a smaller ramekin for the pig’s snout. 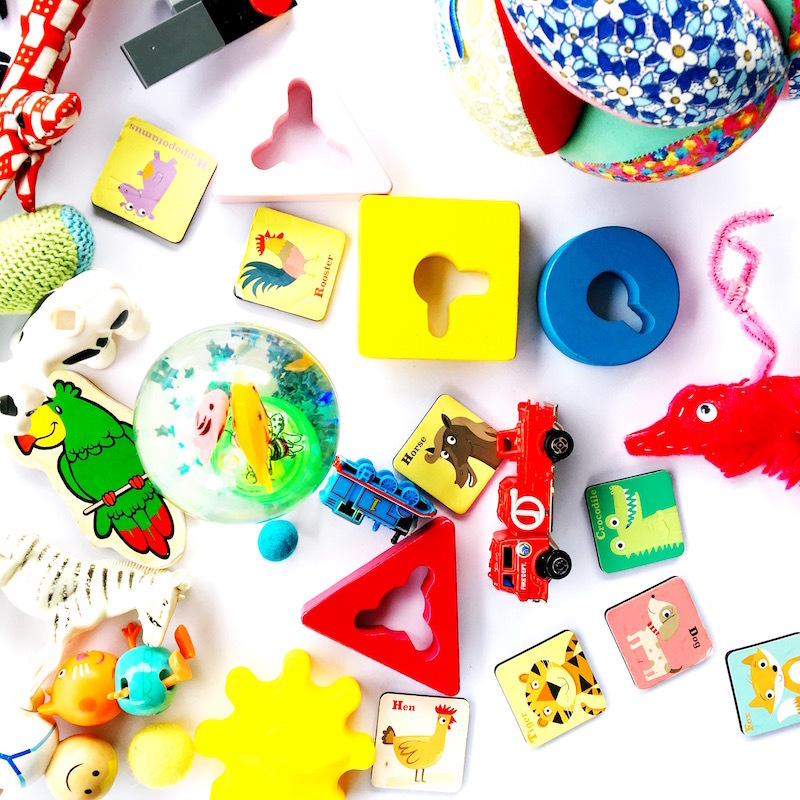 If you’ve never traced around objects with your preschooler- try it! To create the hearts, I showed my 5-year-old how to fold paper in half and cut out a symmetrical shape. You’ll need 5 hearts- 2 ears, 2 eyes and 1 for the snout. Although in my preschooler’s pig craft below, she only used 3. So really just do whatever tickles your fancy. Look at all the personality in this pig! Then you brandish the glue sticks and layer up the features. After all that tracing, we freestyle cut the round parts of the eyes. We’re rebels like that. Then you can add features with a black marker. May the Year of the Pig bring you endless happiness and creativity. 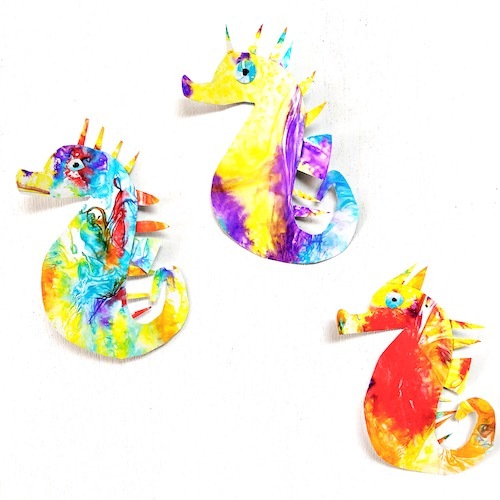 Need more ideas for Lunar New Year craft?